Last week Intel Corporation announced that it has decided to lay off 12,000 of its employees, which is roughly 11% of its entire workforce. This is larger than the mass layoff in 2006 when Intel cut 10,000 jobs. The company has grown in size for most of the past decade. It reached a total employee count of 100,000 in 2011. According to the Oregon Live, Intel is Oregon’s largest private employer, with 19,500 working at campuses in Washington County. According to Intel, the job cuts will save the company $750 million this year and generate savings at an annual rate of $1.4 billion by the middle of 2017. It will also take a one-time hit of $1.2 billion to cover the expenses this quarter. It was a big surprise for many people when the CEO of Intel, Brian Krzanich, announced the job cutting plan. But some who follow Intel Corporation stock (INTC) closely believe this is just the latest sign of the company’s struggle to adopt to a changing landscape of slower PC sales. It goes without saying that employee morale has really gone down at the company. Since Intel is such a large company, people who will be let go will hopefully receive decent severance packages and help finding new jobs. The entire restructuring plan to start today, April 29th, and is planned to be complete by the middle of 2017. This is part of a larger labor trend where full time workers with high quality jobs are being laid off and are forced to either work multiple part time jobs or face unemployment or underemployment. Krzanich said in a statement, “We are evolving from a PC company to a company that powers the cloud and billions of smart, connected computing devices.” This basically means the company will try to shift its focus to servers and cloud infrastructure rather than on personal computers and other consumer electronics. Investors of INTC shares didn’t have a big reaction to the lay off news. The price of Intel’s stock hasn’t changed much since the announcement last week. Overall the stock has traded between $24.87 and $35.59 in the past year. Some experts argue that this recent job cut has been a decade in the making. 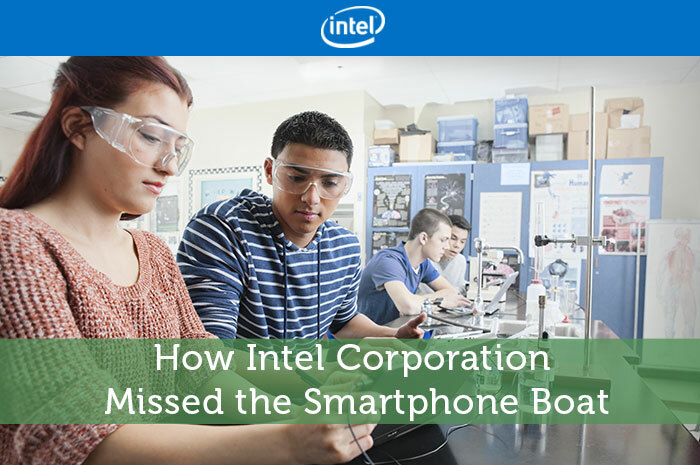 The reasons for what Intel is doing now points to the mistake it made 10 years ago when Intel declined to make chips for Apple’s iPhone products. This decision started the decline of Intel’s potential to grow its market share and revenue. According to an interview with Intels CEO at the time, Paul Otellini, the company had the chance to be a part of the iPhone story from the very start. According to Otellini, Intel passed on the opportunity to design and manufacture chips for the first iPhones because it did not believe that Apple (AAPL) would be willing to pay the price Intel was going to propose. Intel believed that the iPhone was an obscure product and that Apple had already set a budget for how much its willing to spend on chips. Apple then went to pursue a complicated partnership with Samsung to make the iPhone. At first Apple used Samsung’s ARM s.o.c design. But with the introduction of the iPhone 5, Apple began to use its own ARMv7 chips instead. Intel may have missed the boat when it comes to smartphone production, but the company is still very profitable. Its annual earnings is about $11 billion. Although the stock is down 20% from its decade high in late 2014, its balance sheet still remains very strong. Its price to earnings ratio is about 13.2 times, which is reasonably priced for a tech company. It manages to grow its dividend pretty much every year and currently pays out an annual yield of 3.34%. The job cuts will hurt the company’s public image in the short term. But Intel could still be a good long term investment at this point. This author is long 150 shares INTC.